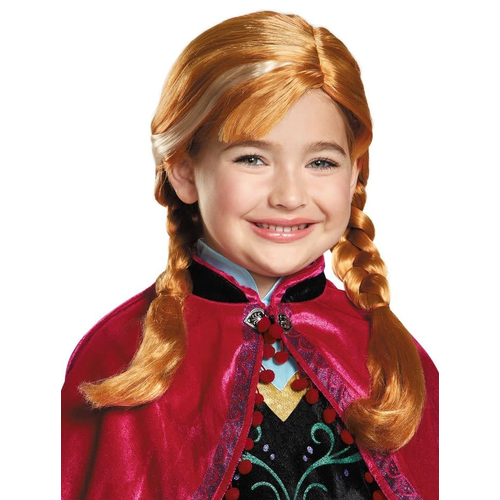 You can look just like love Princess Anna from Arendelle! Lovely red wig with blonde accents is braided into pigtails with a wispy fringe of bangs to frame the face. The pink satin ribbons are woven through the braids and tie into bows at the ends. 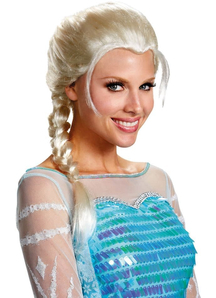 Perfect accessory to your Anna costume! 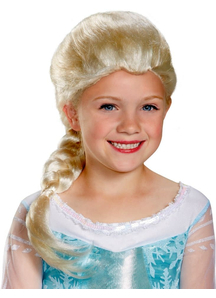 One size fits most children. Nice!